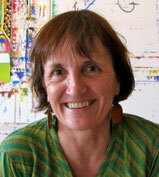 by sending an email to Isabel Fouchecour and receive regular email updates about workshops. for attending Michele Cassou's Masterclass in the USA. Subscribe to the newsletter to keep posted.